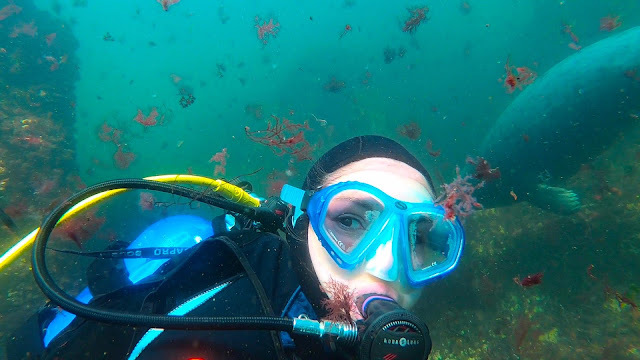 Diving in New England gets a bad rap. It's murky, it's dark, there is nothing to see, the water is cold.... Oh, the list goes on. For all the warm water divers out there, who only don their gear when the temperatures are warm and the water is clear, you are missing out on some amazing local diving. Amazing sea life, famous ship wrecks, and artifact finding right here in our sometimes murky waters. If you are lucky, you may even get the chance to swim with something a little bigger than lobsters and flounder. 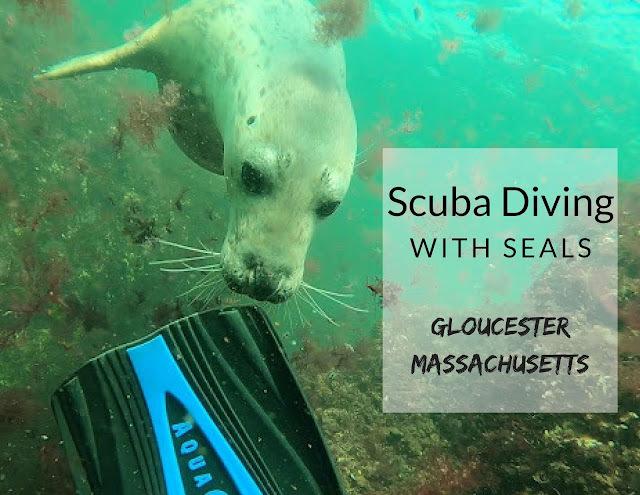 Over labor day weekend, I had this awesome opportunity to spend some time in the water with some of New England's favorite residents, harbor seals and gray seals. 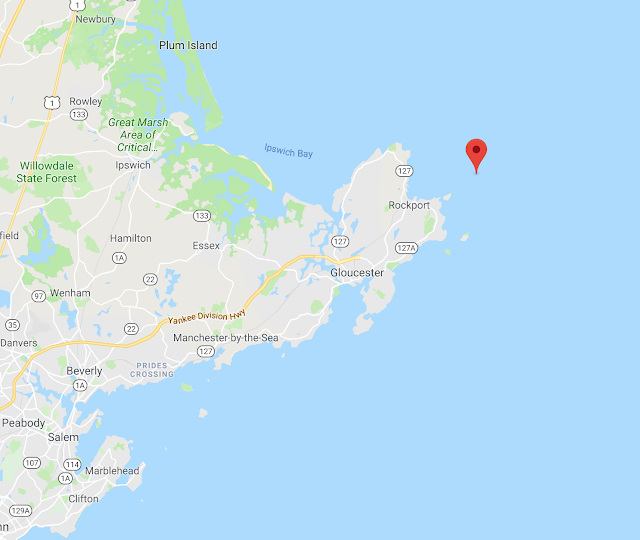 A 2.5 hour drive will take you to the beautiful town of Gloucester Massachusetts. Historic fishing town, great brewery, lovely waterfront, and so much charm. We hopped on a boat, Cape Ann Divers II, and headed out for an hour boat ride over to a spot called Dry Salvages. Dry Salvages was simply a pile of rocks, sticking out of the Atlantic. 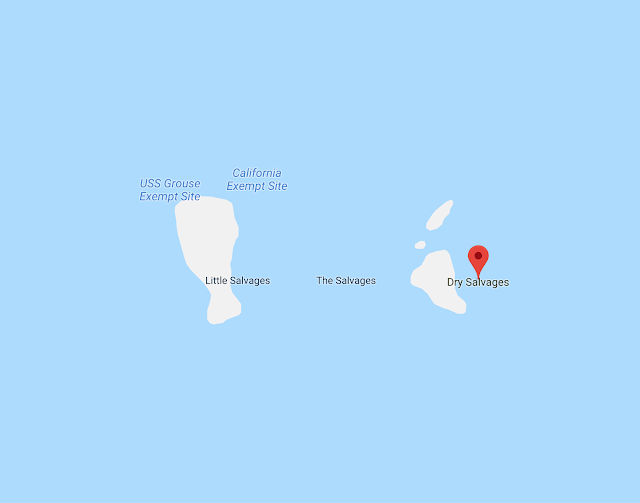 Dry Salvages is *slightly* famous as it is the third poem of T. S. Eliot's Four Quartets (something about this rock pile was worth writing about). To the average eye, its an underwhelming feature in the middle of no where. 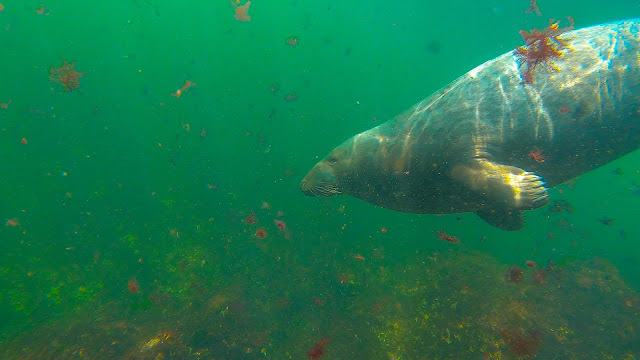 But to divers looking for seals, it's the jackpot, some of the best seal diving in New England. 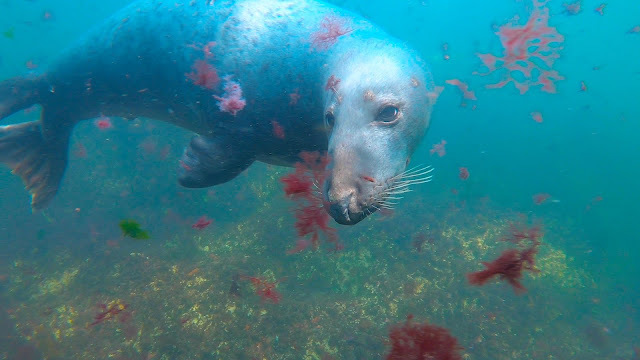 The bad news is that these critters tend to hang out in the shallow water so if you decide to swim with the seals, you may feel like you are in an aggressive wash cycle as you swim through shallow waters and churning seas, watching seals watch you. There is something pretty magical about being out in the middle of nowhere, no land in site, just this pile of rocks sticking out of the Atlantic, your boat and a few dozen seals the only ones around. 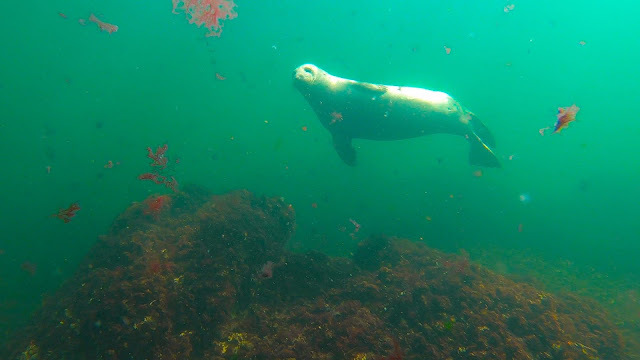 You can see the seals bobbing on the surface and sunbathing on the rocks and when you spot your first seal, you can't get your scuba gear on fast enough. 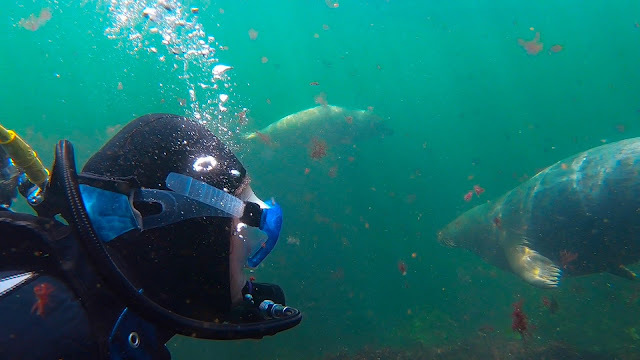 You don your gear, slide into the water, and swim over to the pile of rocks to see this blur of gray and silver, seals darting around, curious as to who they are sharing the sea with. The key is to kind of sit still and watch them, and always look behind you. They seem to love to play with your fins and I would catch a seal or two checking out my dive buddies fins as we swam along. They are playful and curious, the young pups a little more skittish while the older seals could not care less. They come up close then dart away, they come over slow and sniff around. They barrel roll, they play with each other, they are insanely curious, undeniably cute. 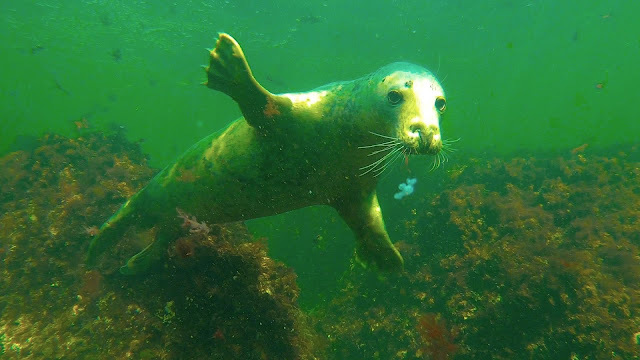 If you are considering a seal dive, then there are a few bits of advice that will help you enjoy your time underwater with the pinnipeds. 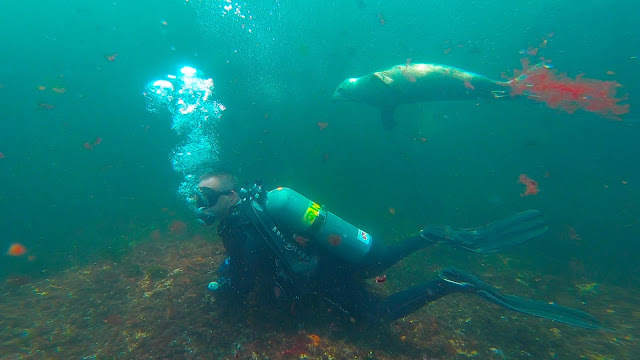 This was my first time heading out to Dry Salvages and thankfully, Corey over at Finding Corey provided me with some great tips for the seal diving. They appear to like the shallow water. We spent most of the dive in 10 feet or less. It wasn't warm water, perfect visibility, or tropical fish. But this dive still goes to the top of my list of most memorable dives. 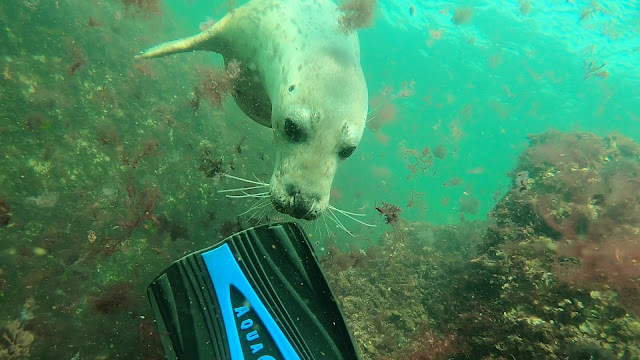 There is something about playing in the water with a curious seal, sharing the sea with these beautiful and playful creatures. Swimming there in the silence, watching as they nibble your fin and stare back at you, essentially watching you watch them with their big puppy dog eyes. This was such a memorable experience and I was so glad I was able to spend some time beneath the waterline with the water dogs. Grateful for another amazing adventure, and another day spent swimming in the sea.